Two possession squares are set up which accomodate numbers. Squares must be tight for space. Coaches are outside the squares with a supply of balls. 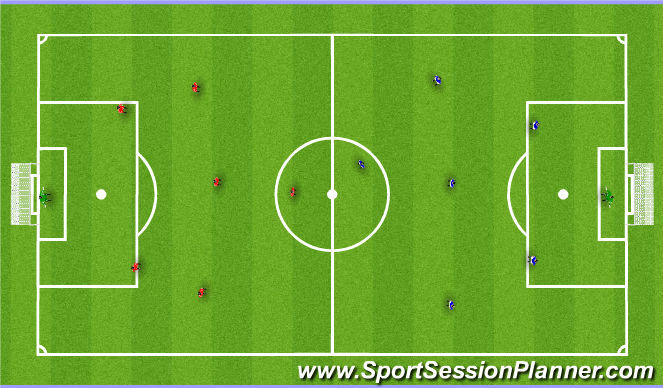 Possession is kept by the attackers in each square for one minutes. 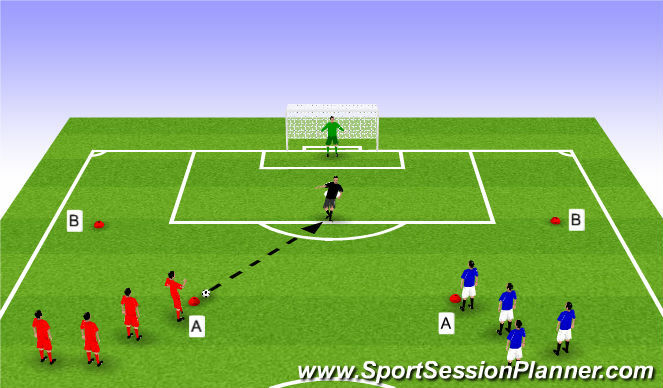 During that time two defenders will attempt to get as many touches of the ball as possible. Each time a ball goes out of play the coach feeds another in. After the minute play stops and the defenders with the most touches win a point for their team. Two new defenders then swap into each square until every player has been a defender. This drill can run a few times. 1. Players form two seperate queues at the cones marked A. One will shoot on the left foot and the other on the right. They will pass a ball to the coach who will bounce the ball back. Players must take a touch out of their feet and shoot at goal. EACH GOAL IS ONE POINT. 2. As above with teams swapping sides. EACH GOAL IS ONE POINT. 3. Players will be in the same two queues they started in. They will play a one two with the coach and shoot first time at the goal. EACH GOAL IS ONE POINT. 4. As above with teams swapping sides. EACH GOAL IS ONE POINT. 5. 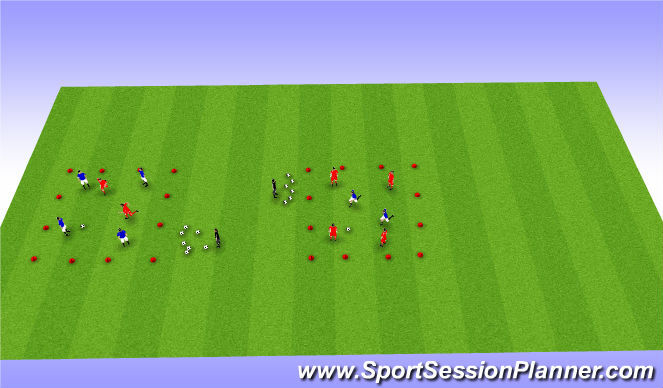 Players will line up at the cones marked B. They will play a pass to the coach who will return the ball to them. They will strike the ball first time towards the goal. EACH GOAL IS ONE POINT. 6. As above with teams swapping sides. EACH GOAL IS ONE POINT. The competition ends with a two touch match. 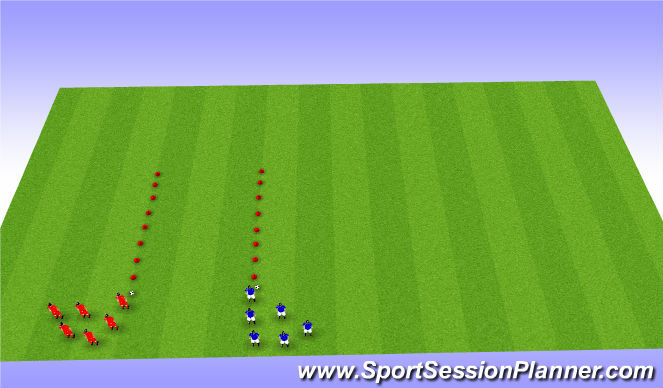 If a player takes more than one touch it results in a free kick. Normal match rules also apply. At the end of the match a forfeit will be given to the losing team.